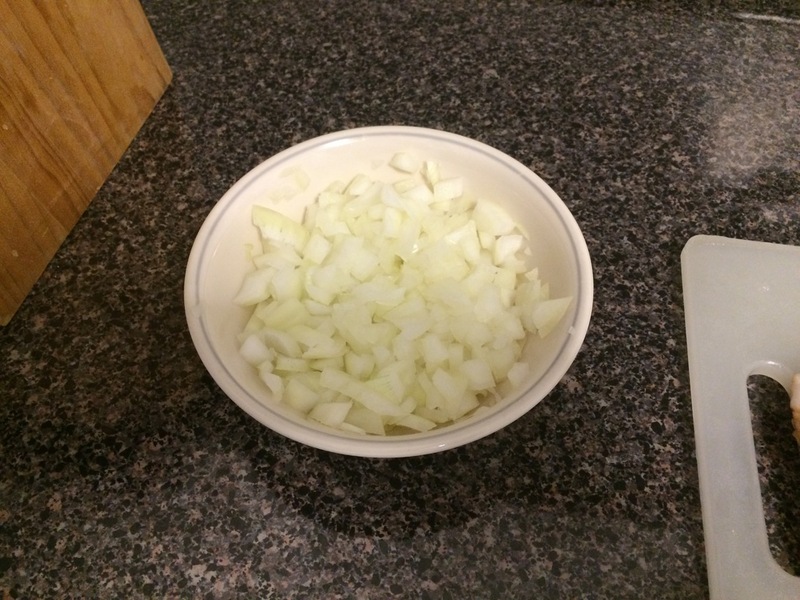 Dice the onion and slice the bacon into 1-inch strips. 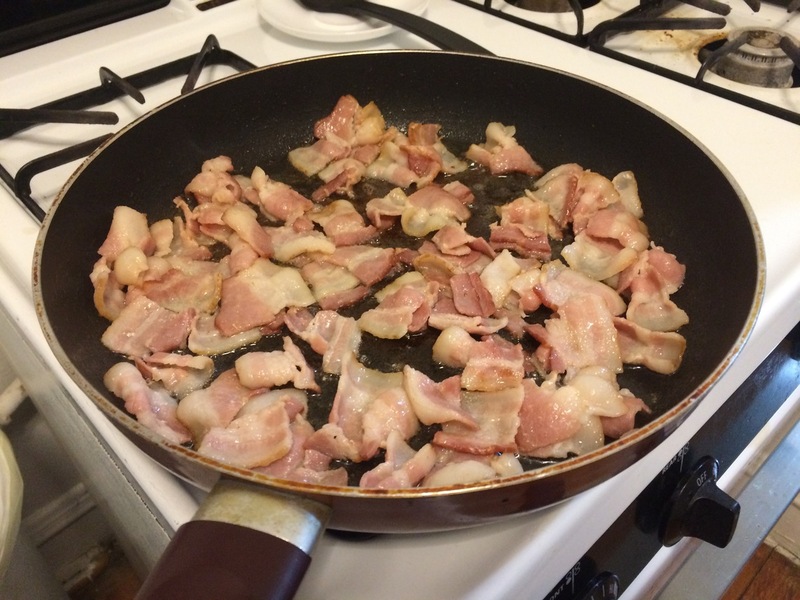 In a large skillet, fry the bacon until the edges are crispy. 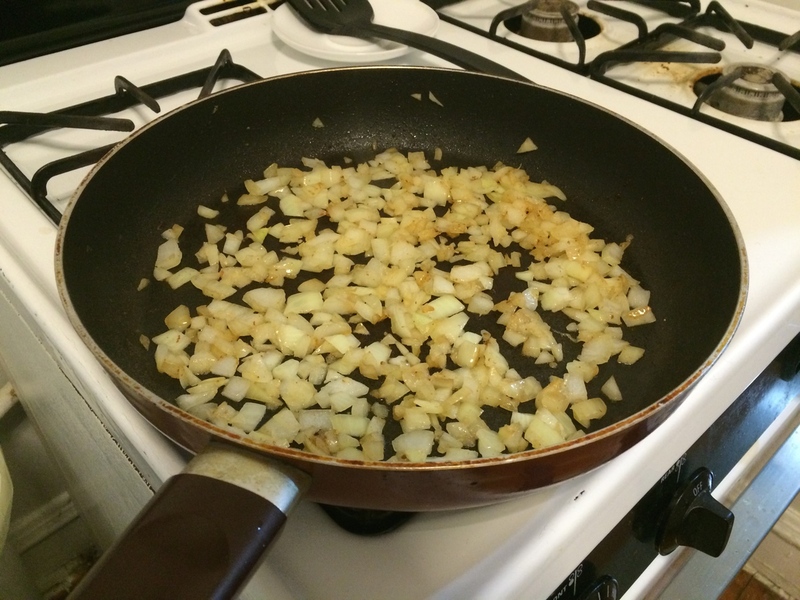 Drain most of the fat from the pan, leaving about a tablespoon, and then add the onion. 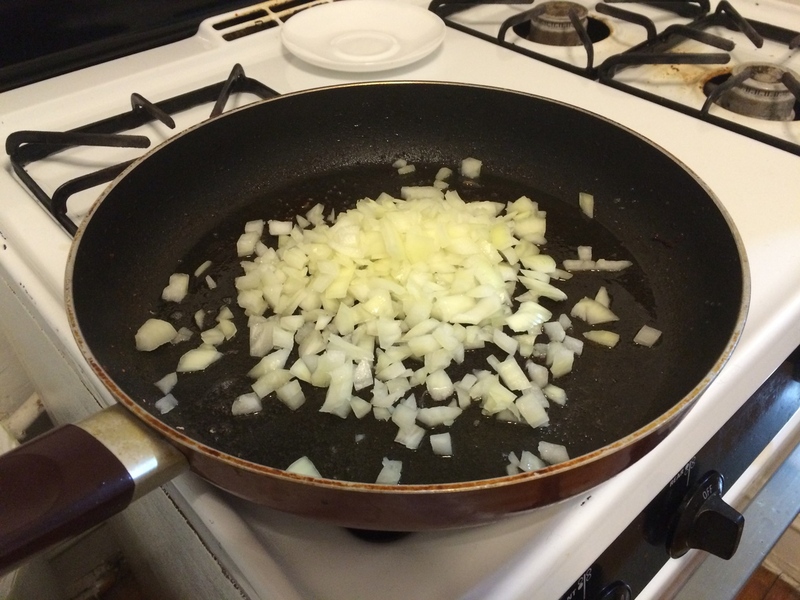 Saute the onion until it's transparent, then add the chicken broth. 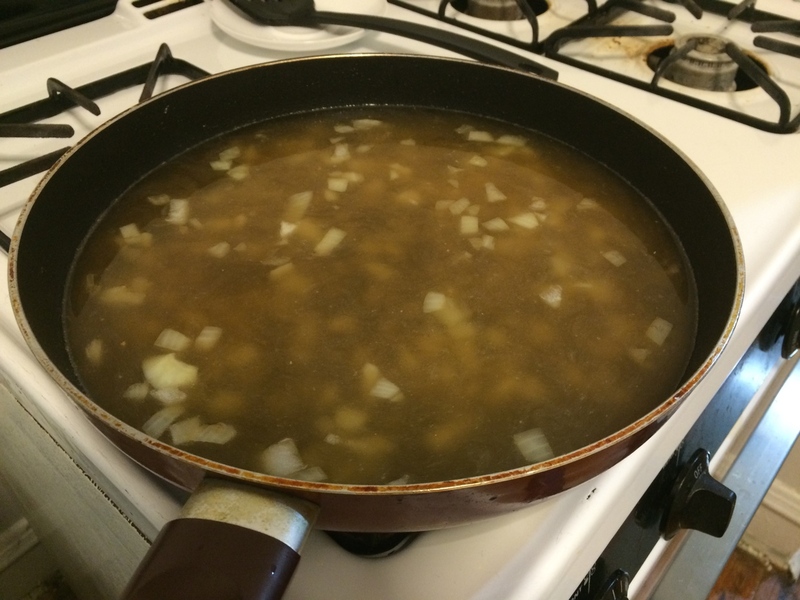 Scrape the bottom of the pan to get the bacon flavor into the broth. 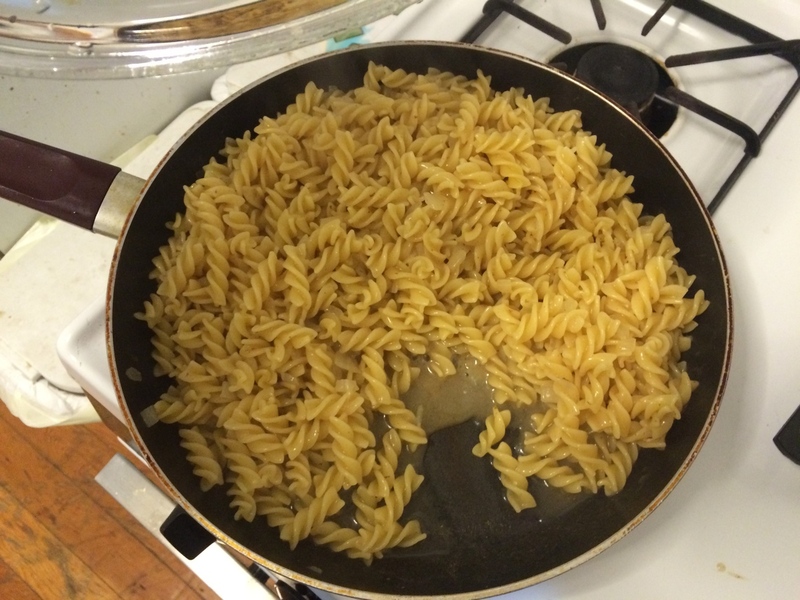 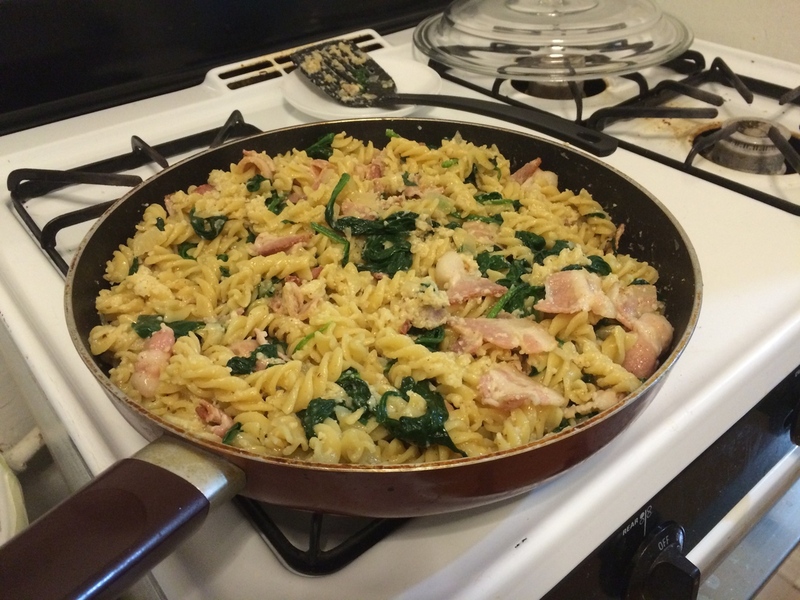 Add the pasta to the skillet, cover, and bring to a boil. 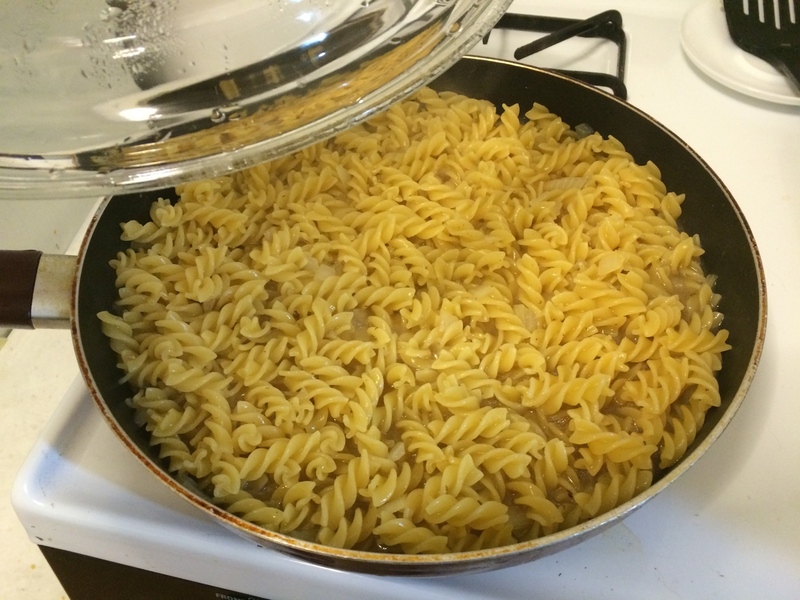 Simmer until the liquid left in the bottom of the pan is thick, about 15 minutes, stirring every few minutes. 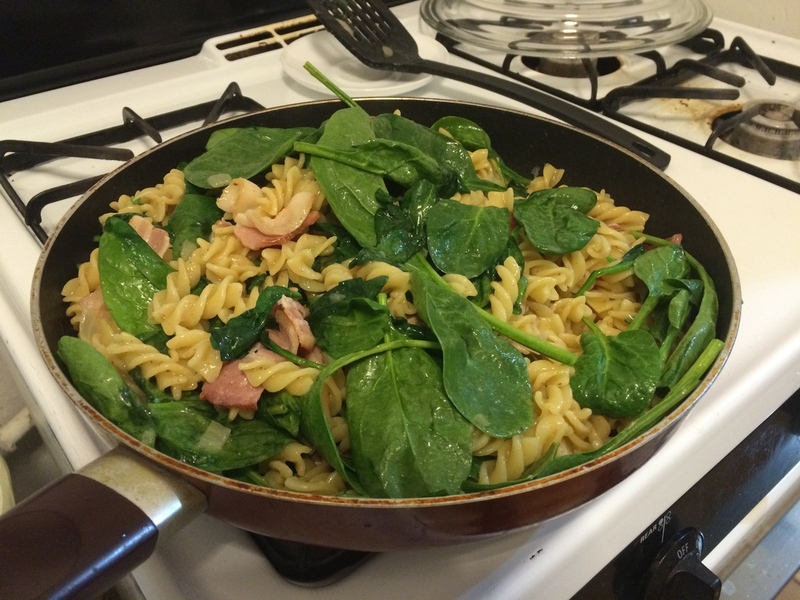 Add the spinach to the pan (perhaps in batches), and stir until it has wilted. 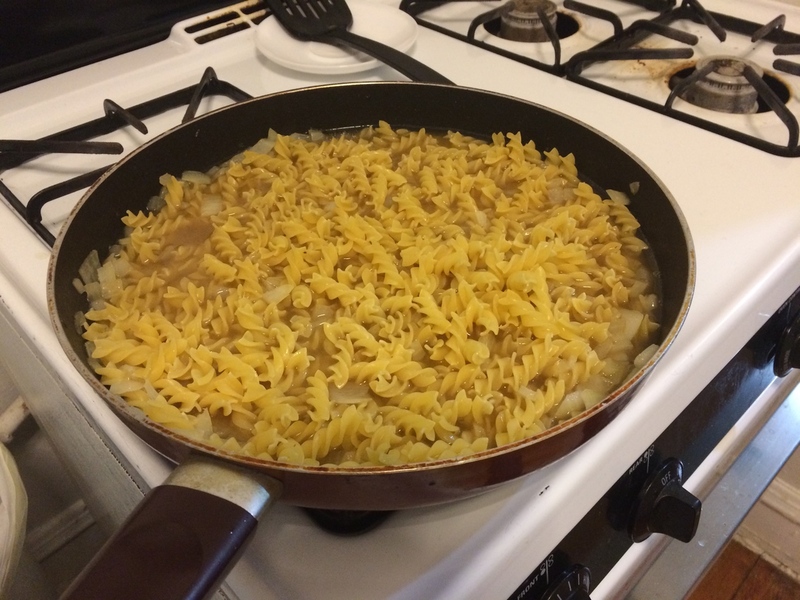 Turn off the head, add the cheese, and serve. 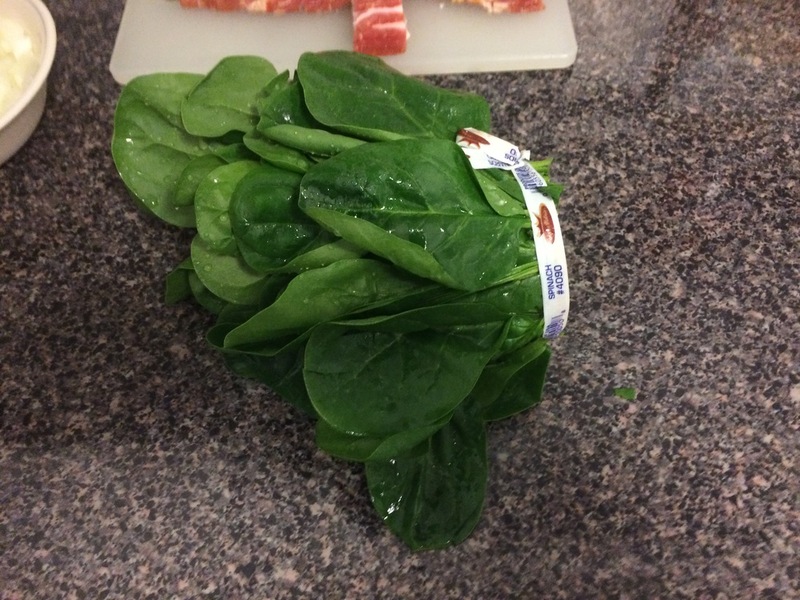 It's always good to get everything measured and sliced before starting to cook anything. 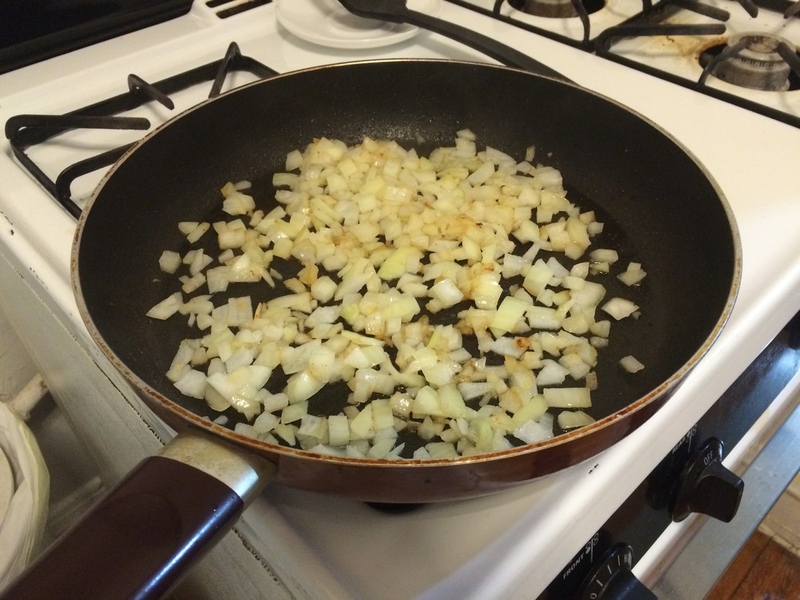 Professionals call this "mise en place", French for "putting in place". 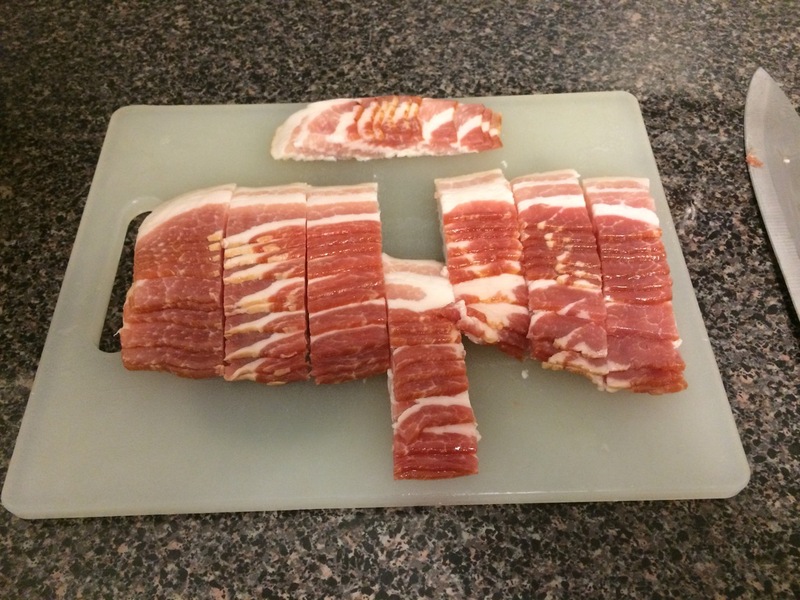 The bacon will be easier to slice if it's just a little bit frozen still. 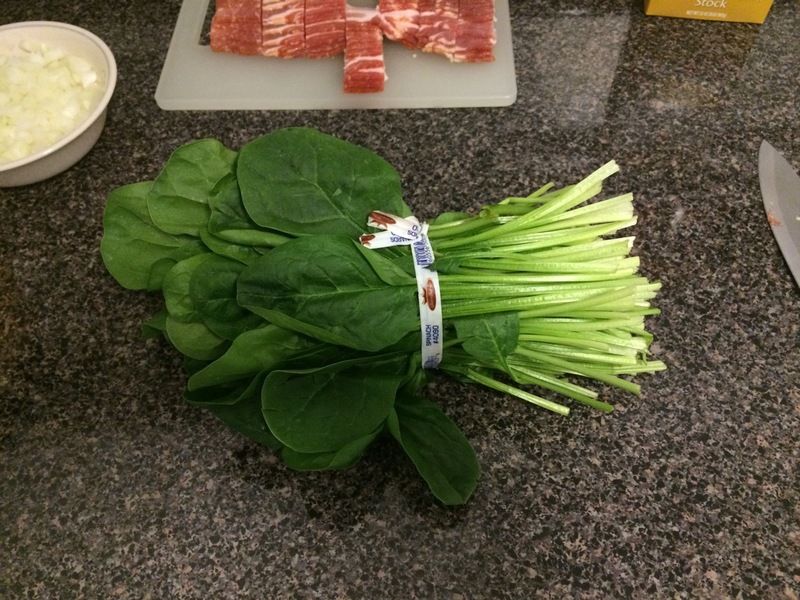 If you got a big bunch of spinach, slice off the stems. 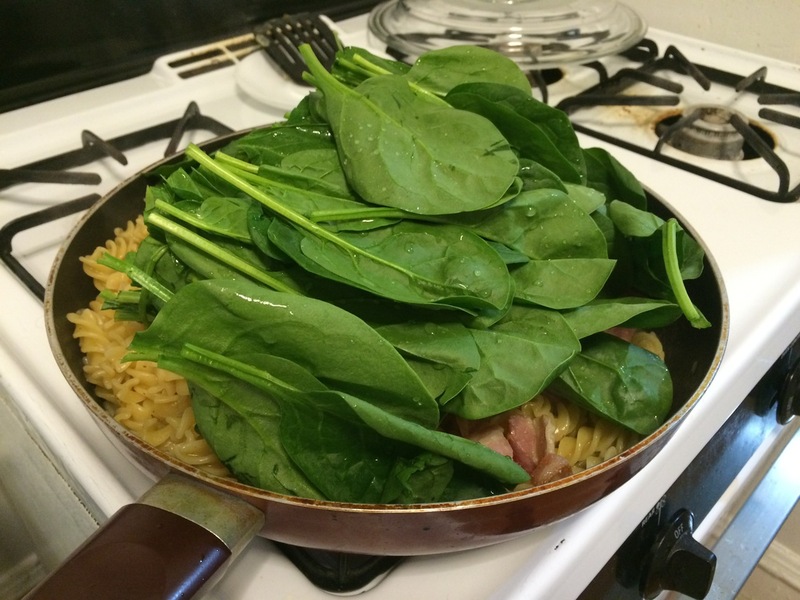 We mostly want the leaves. 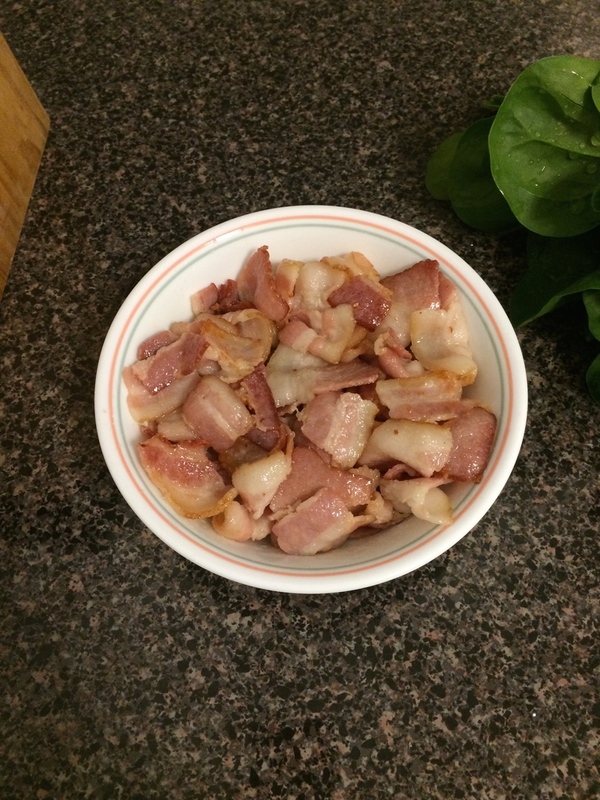 When adding the broth, scrape the bottom of the pan to get all the bits of bacon into the broth. 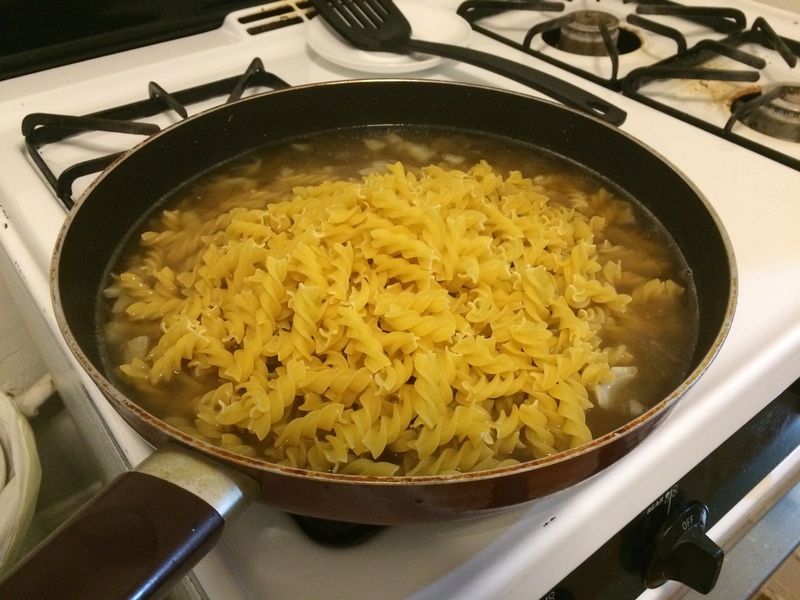 Cooking pasta in broth smells simply amazing. 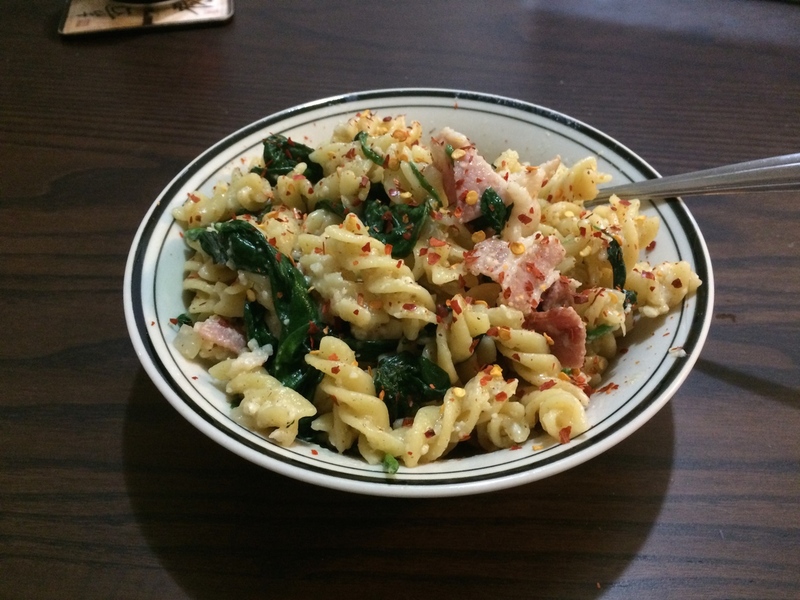 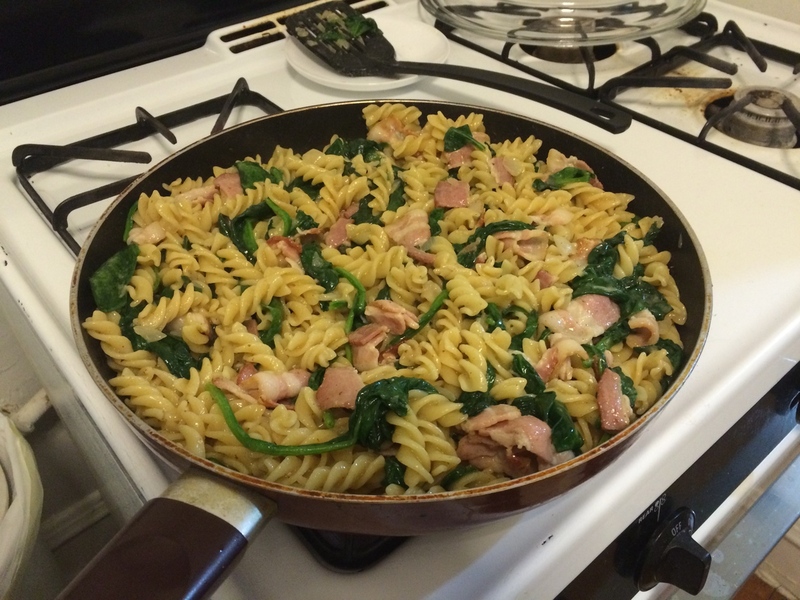 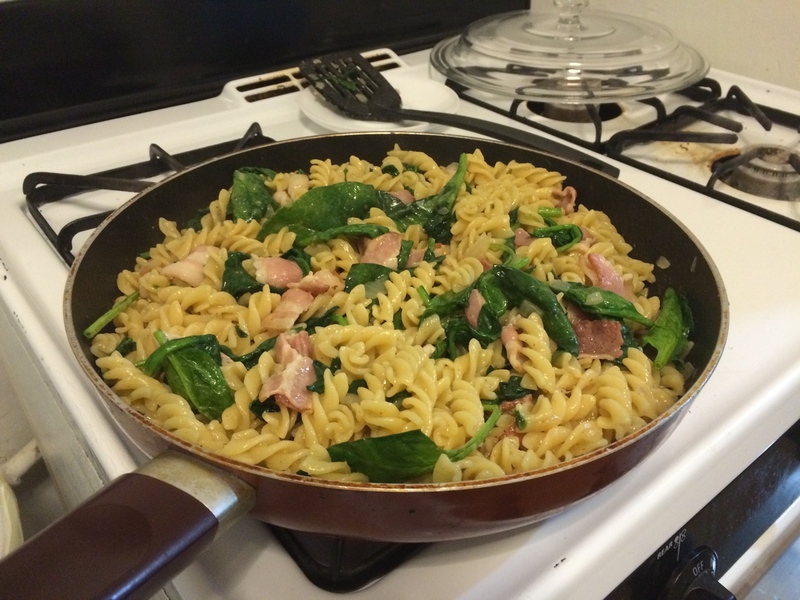 I had to add the spinach in batches, because there was so much of it. 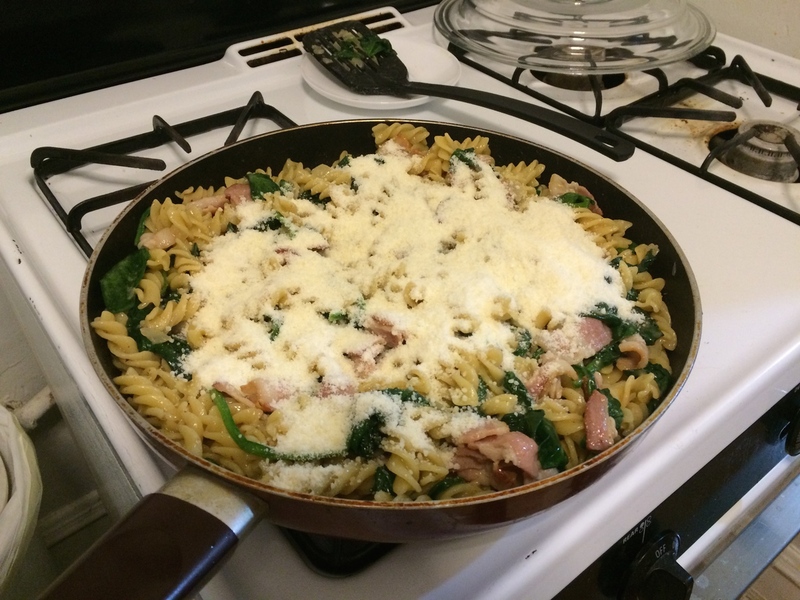 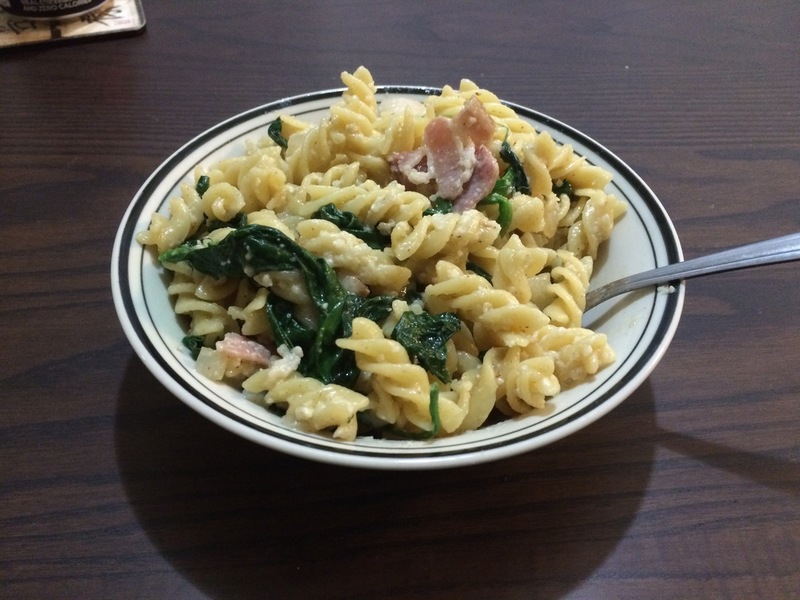 Once the spinach is wilted, we can finish with the cheese.